This little fella is a creature called a South American Coati. His name is Elvis, and the exotic little fur ball loves nothing more than some nap-time scratches. Watch as he demands all the back scratches and belly rubs his owner can give. Barbra Streisand on singing “Love Me Tender" with Elvis: “Our spirits were touching." "Love Me Tender" is one of the 12 extraordinary duets on Barbra's album Partners. We, as Elvis fans know he had quite a sense of humour and was very witty. 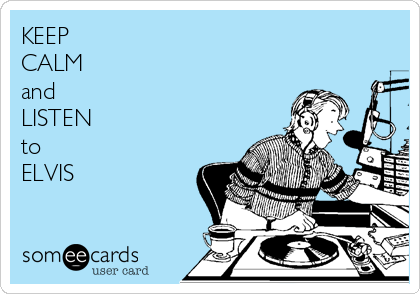 If we had a say, I'm sure we would have had Elvis taking up all the spots on this list of 21! 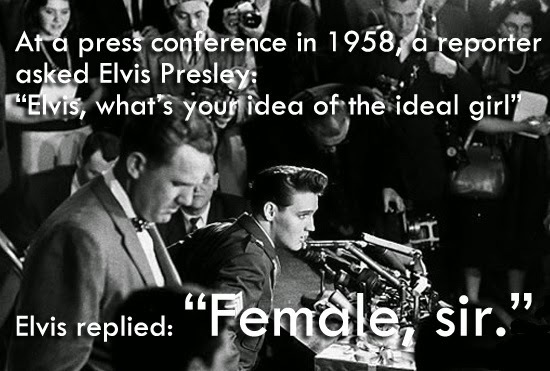 So, let's make our own list of 'Elvis's 21 Wittiest Comebacks'. Just write your favourite Elvis saying, comeback or answer in the comments box and show the world Elvis was the King of Wit! Are you up for this challenge? Then, go cat go! 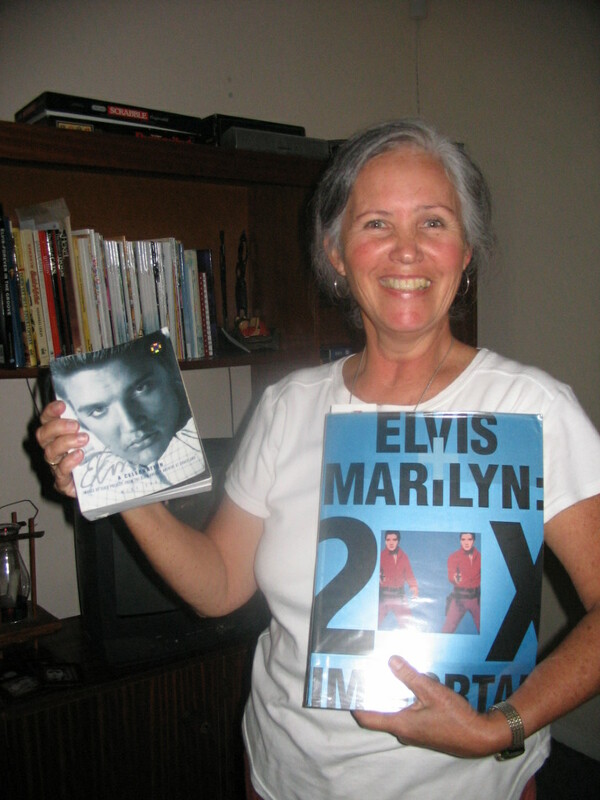 Hoe som ek my 8 jaar by die Elvis fan club in 'n paar paragrawe op... want ek kan seker 8 boeke vol skryf! Julle ken al die storie van hoe Annemarie my Elvis geforce-feed het - maar ek moet darem bysê dat ek dit baie gewillig gedoen het! En ook maar goed, want dink net hoe baie sou ek op uitgemis het. As ek so terugkyk op my Elvis journey, staan daar so baie dinge uit, maar dit wat vir my die meeste uitstaan, is hoe baie ek as mens gegroei het. Ek besef hoe ‘lucky’ ek is dat die fan club en al sy mense my pad gekruis het. Ek kan nie my lewe daarsonder indink nie. Op ‘n praktiese punt... rekenaarvaardighede, video clips, fotos, ‘n skroewedraaier, staple gun, dataprojektor, toere, dekor, onderhoude… ek het nie die sertifikate om te wys nie, maar ek moes vining leer om al hierdie dinge te behartig. Op ‘n komiese punt… In Die Gopse, freaky fans met jumpsuits en cowboy boots, ‘n vis op ‘n houtplank wat Hound Dog sing, ‘n “first-time overseas traveller” wat vir die toilet dankie sê toe dit vanself begin spoel, tannies wat baie weet van Dawid Kramer en kerse wat nie wil doodgaan as mens dit uitblaas nie. Deur al die dinge wat ek a.g.v. die fan club ervaar het, is my lewe soveel meer ryker. Ek het beleef dat familie nie net bloed is nie, want uit die lede het ek ‘n paar ma’s en sussies bygekry. Selfs ‘n dierbare oom, al bly hy so vêr. Ek het geleer hoe kosbaar vriende is die oomblik toe die vliegtuig van Dakar af opstyg en die ore, skouers en harte wat oopgaan wanneer ek laagte- maar ook hoogtepunte bereik. Die grootste gewaarwording was dat ek my eie inner Elvis gevind het. Waar Elvis altyd soekend was na sy tweelingboetie, het ek my soulmate gevind. Ek het geleer dat familie en vriende baie meer werd is as materiële dinge. Ek het baie meer waardering vir vintage motors en vintage mense met vintage wyshede. En as die lewe n bietjie druk, is daar altyd die fan club, my eie Graceland. 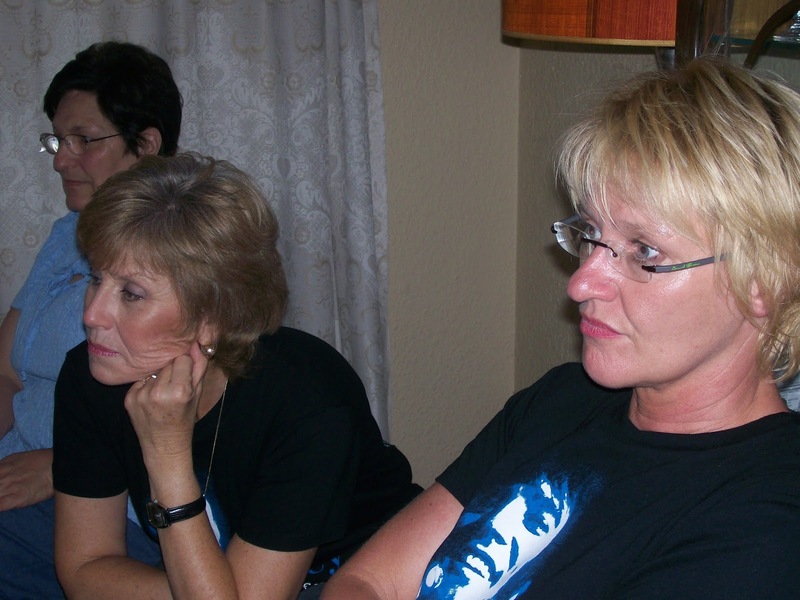 In 2009 het ek aangesluit by die EPFCA, danksy Jackie Ferguson se geselsies by die skool oor al die pret en interessante samekoste van die Elvis fans. Ek het myself belowe dat ek gaan aansluit as ek ophou skoolhou en ek was nog nie een dag spyt nie! My eerste indrukke was dié van verbasing oor alles wat die fans van Elvis en sy musiek weet en die passie wat hul daarvoor het. Ook dat jy vroue nooit kan onderskat nie. 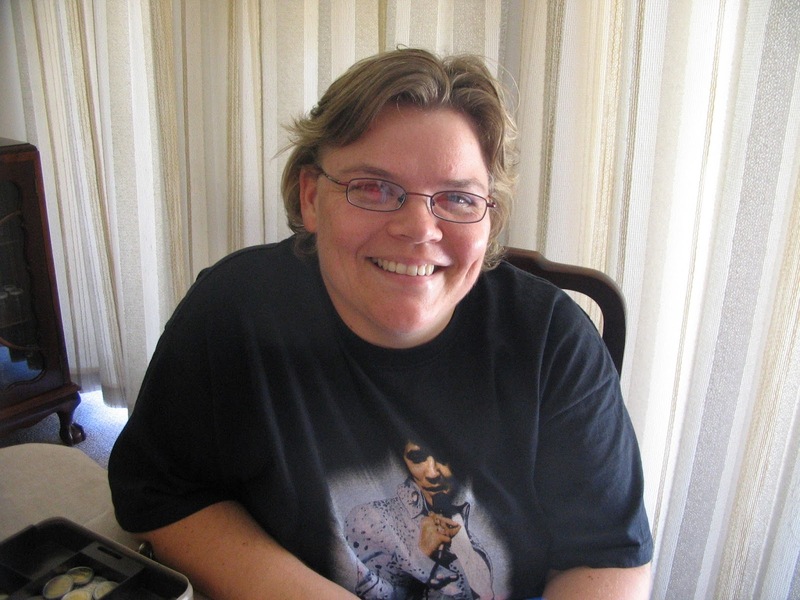 Elke samekoms is vir my leersaam en ek geniet dit om lekker saam te kuier met ander fans, want ons het ELVIS in gemeen. Ek waardeer ook al die moeite wat die komitee doen om alles altyd so glad te laat verloop. Die een hoogtepunt by die klub was toe ek Monique die eerste keer daar in die Grotto hoor sing en kitaar speel het. Ek was ene hoendervleis, so mooi was dit. Ek kan ook nie die eerste Elvis Festival uitlaat nie, want dit was iets anders as die gewone en ek sal dit koester met goeie herinneringe. 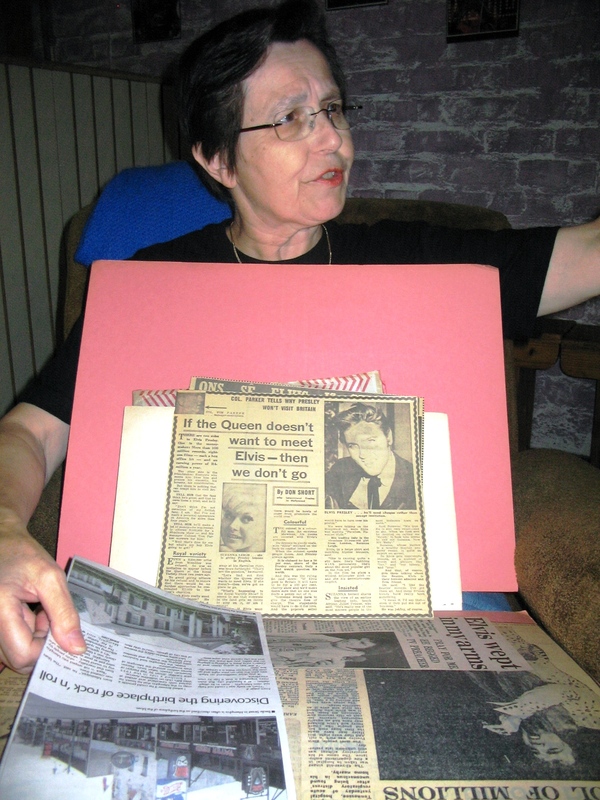 ŉ Komiese insident, of moet ek miskien eerder sê, ŉ verleentheid, was toe ek as Elvis fan op die voorblad van die Tygerburger saam met Connie en Henrietta verskyn het. 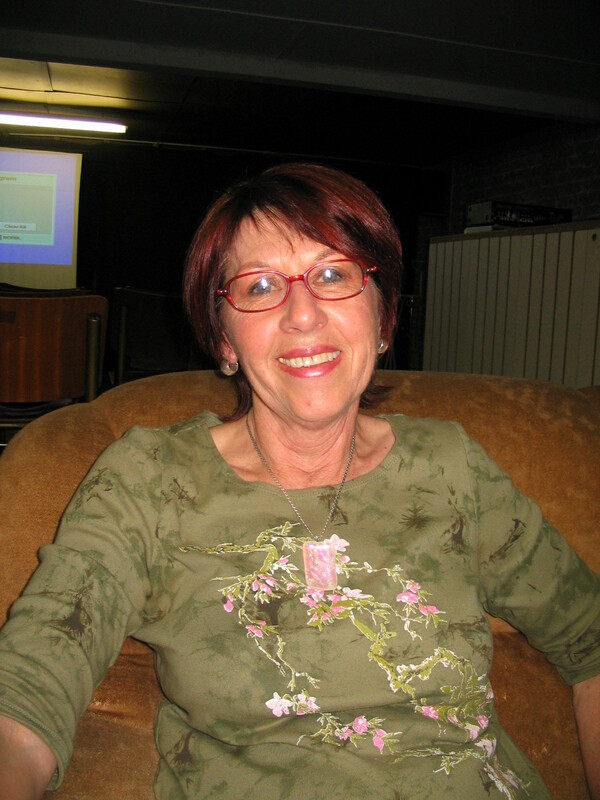 (Ai, Nicolette, moes jy nou daai foto kies?) Al die kinders by die skool en die hele buurt wou weet of dit rêrig ek op die foto was en dat hul nooit geweet het ek is so ŉ groot Elvis fan nie. Dit is nogtans iets kosbaars in my Elvisboks. Dit sou goed wees as die klub se ledetal met opregte Elvis fans kan groei en mense meer belangstelling toon wat werklik by die klub gebeur, en ŉ toer Graceland toe sal natuurlik ŉ wonderlike ondervinding wees. Ek hoop werklik dat die klub nog lank en gelukkig sal voortbestaan om ons almal verdere ure se Elvis Magic te verskaf. My own journey with the EPFCA began during the second half of 2005. Marion and I went to the Labia Theatre in the Gardens in Cape Town to see a show called Hound Dog by on Matt Stern, who sang a nice variety of Elvis songs. I recall being rather impressed by his explaining that he was not trying to imitate Elvis, but rather just singing Elvis songs in his own way. Right after the show we met Annemarie and Nicolette and discovered that there was indeed an Elvis Presley fan club right there in the Cape. Of course I signed up as soon as I possibly could, and next thing I was attending the monthly get-togethers and continued to do so until our departure for Bloemfontein towards the end of 2007. I have retained my membership. Get-togethers were always a high-light of my month while in the Cape, and a huge “thank you” must go to the two ladies in question for always providing such varied entertainment. From tribute functions to quizzes, movies and music, "amazing races" to a karate session, theme events (e.g. Elvis in the Army) and more, if it’s Elvis you are after, Annemarie and Nicolette certainly provide.Mention must also be made of the wonderful magazine the club have put out the past 10 years. Packed with the most amazing articles and info one could hope for, the magazine alone have made membership fees worthwhile. Once again, well done to the ladies. 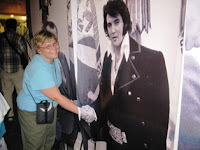 No doubt the high point of my Elvis experiences as a member was the trip to Memphis in 2007. Together we watched the “new and improved“ version of Viva Las Vegas on the hallowed lawns of Graceland - what a great evening it was! I also seem to recall a photo of Jackie van Schalkwyk and I at a petrol station filling the car, and of course Nicolette just had to seriously embarrass me with a video clip taken near the Heartbreak Hotel where I was asked about the nice warm weather - this when temperatures seldom dropped below 100 degrees Fahrenheit! Lastly but by no means leastly, I must say something about the amazing people I have met at the club. Elvis fans are of course something special (naturally! ), and I am truly blessed to be able to count some of them among my very special friends - thank you one and all. To round off, my EPFCA experience has been an absolute blast from day one, and long may the club continue and prosper - many happy returns on your 10th birthday, and may the next 10 be just as great! About 10 years ago a friend told me that in the music store CD Select in the Tyger Valley Shopping Centre there is a notice in connection with an Elvis Fan Club. I called Annemarie and 10 years later, the fan club is still going strong. When I think back, it's the new friends I made and all the beautiful music and everything I learned about Elvis, that bring only beautiful memories. There were a lot of laughs when a few of us had to paint banners, blew up balloons and decorate the hall for the dances that we held. Many have come and gone but a few fans kept attending the get-togethers. As it happens, we had to loose our dear friends and club members Joel and Sylvia for ever when they passed on. We had outings, Amazing Race quizzes and much more, but what I still enjoy most is Elvis' music and of course the movies and do not forget when we could tear apart the "Colonel" during one of our discussions! 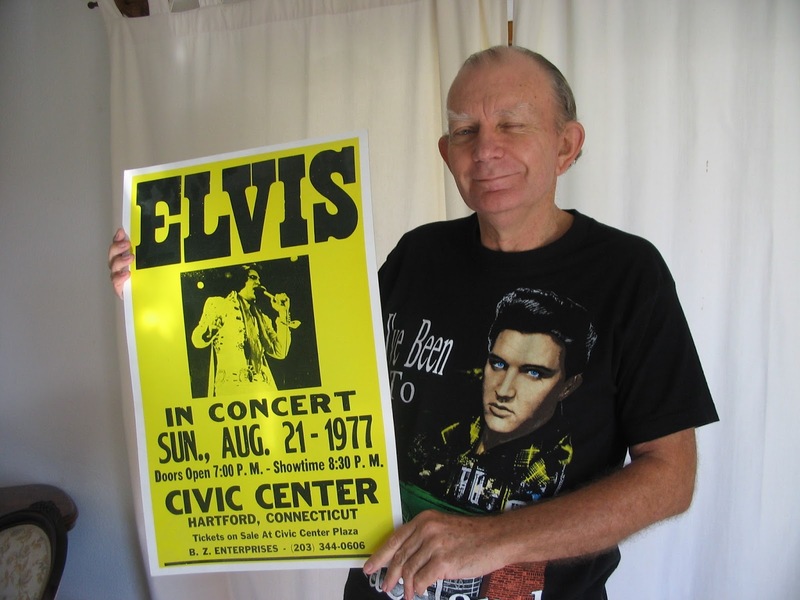 Long live Elvis' music and the Fan Club! When the nursing sister at my mother’s retirement home told me that an Elvis club existed in Bellville, I could not believe my luck. 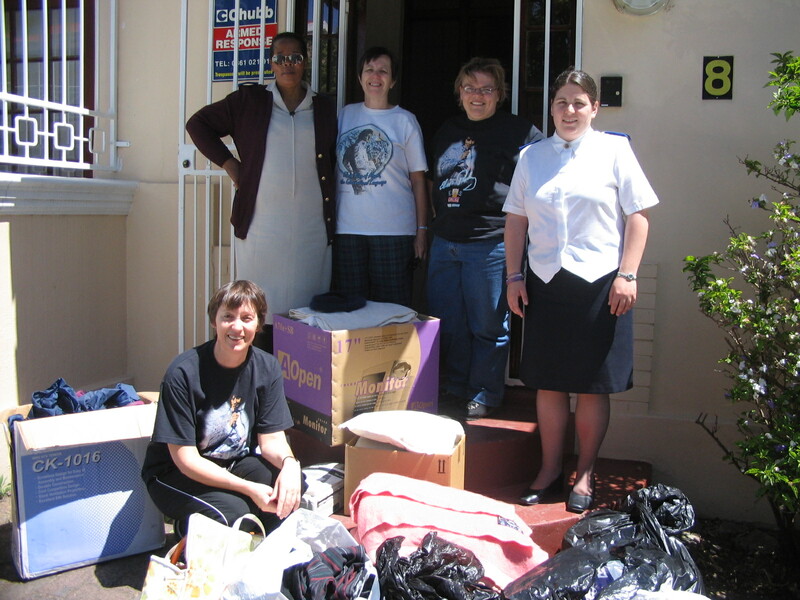 I immediately phoned and spoke with the founder, Annemarie Swarts. I was not sure what to expect but was very pleasantly surprised. 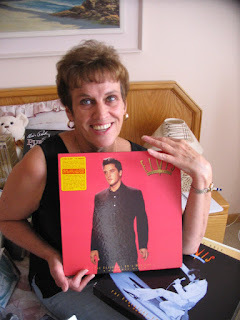 Annemarie questioned me as to why I am an Elvis fan - probably to check out whether I was weird or not. When I told her that I have been a fan since 1956 (giving away my age) and that I had already been to Graceland twice, Annemarie was excited. 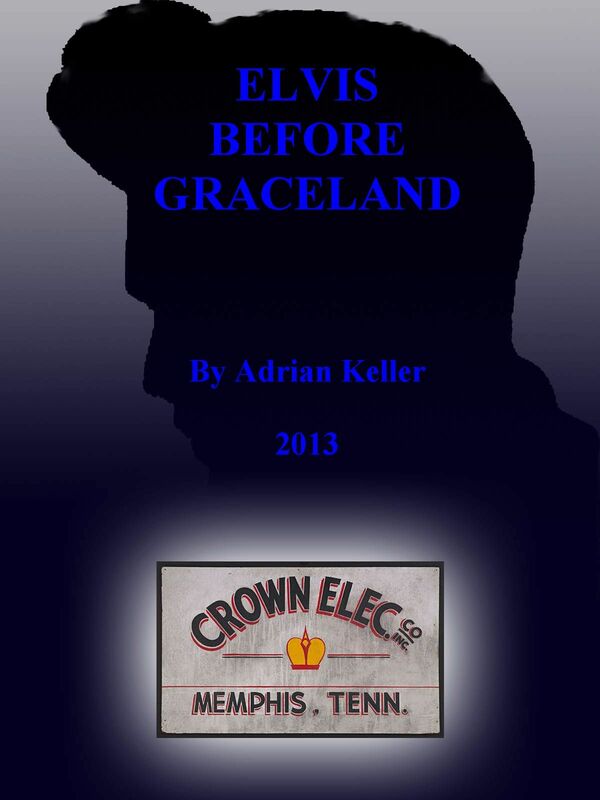 She invited me to the next get-together (I forget exactly when that was) which was on a Saturday afternoon and asked me to talk about Graceland and to bring all the photos I took there. When I got to the get-together which was held in Annemarie’s lounge, I met Annemarie, Connie, Poppie and Jako. Yes, membership was low with me coming in at number five but thanks to Annemarie’s perseverance, the club has grown. I was very impressed with the way Annemarie presented the afternoon. I had absolutely no idea what an Elvis fan club would do at a get-together. We talked, listened and watched Elvis footage - some of which I did not know existed. 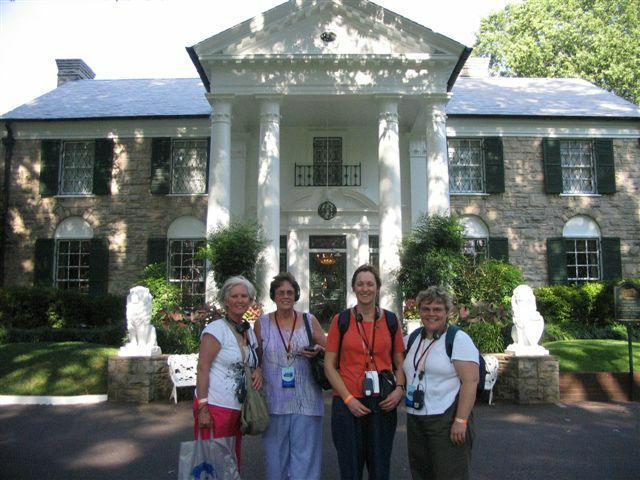 I then showed my photos and spoke about my trips to Graceland. It was a wonderful afternoon, had me hooked and I am still here. 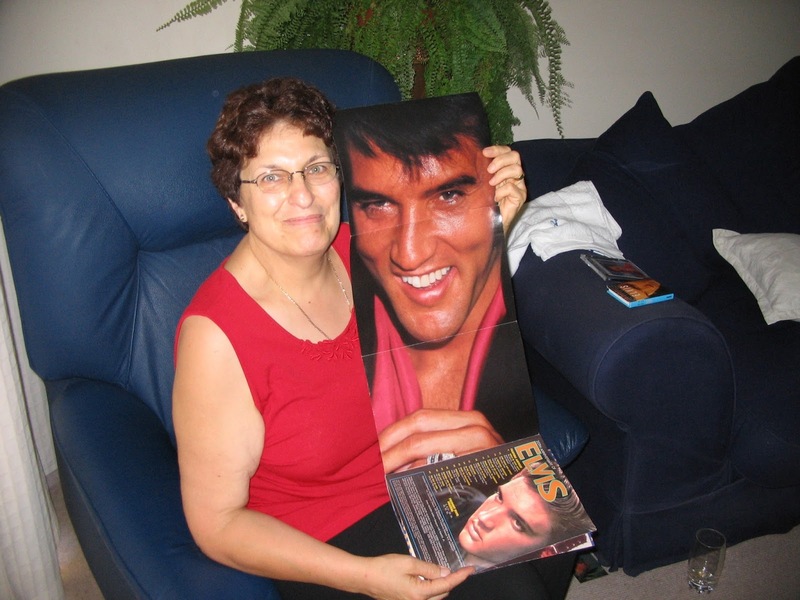 During the past ten years, I have learnt so much more about Elvis. I thought, having been a fan since 1956 and having been to Graceland, that I knew all there was to know but I was so very wrong. I have made numerous friends of which most will remain close friends for life, I hope. I have enjoyed the many get-togethers that we have had and all the fun filled activities that Annemarie and Nicolette have organized. I cannot single out any one event that was more enjoyable than others as I have enjoyed them all - even when we had to write ‘tests’. I am so very fortunate to be able to call ya’ll friends and thank Elvis and Annemarie for bringing us all together. May the club continue for many, many more decades. With 16th August falling on a Saturday this year, we held our monthly get together on the actual anniversary of Elvis' death, 37 years later. The first part of the afternoon was dedicated to ‘Sentimental Me’ - personal memories of what very special Elvis songs meant to us. Very happy and very sad memories came to the fore - with each fan sharing very personal feelings. All of us gaining more understanding of each other. 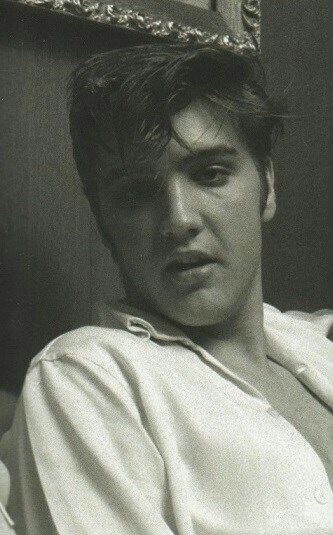 O, how Elvis really touched our hearts with his music, his voice. Songs such as Bringing It Back, Love Me Tender, My Wish Came True, An American Trilogy, One Night, all mean so much to one specific fan. It is amazing just how much Elvis’ music touched us all. Then came the concert - The Fantasy Concert - of Elvis recorded live on stage in Memphis 20th March 1974 at the Mid-South Coliseum. Camera footage from that show was complemented with footage from other shows to form a complete show! Elvis was in top form, loving every minute of performing back in his hometown for the first time in 13 years. What a performance he gave. It was a sad day, 16th August, but just watching this concert we became aware again, of what a brilliant, one of a kind entertainer this man with the magnificent voice was and always will be. RIP Elvis - Long Live The King.